FK chats with Scarlet English – one half of Sydney based duo Two in the Nest. Tell us about Two in the Nest and your first collection? 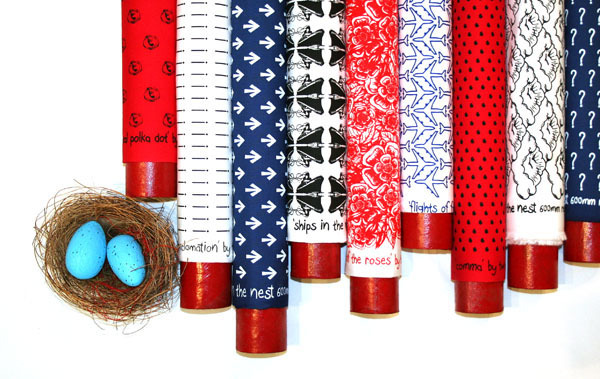 Two in the Nest are two sisters with a passion for print – Scarlet English and Amalia Pearl. 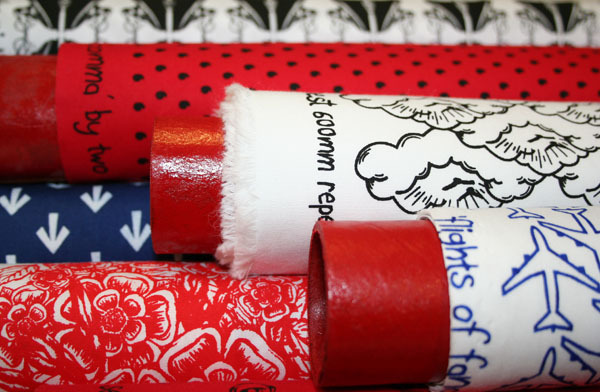 We design and hand print curious and whimsical fabrics together, on our 5 metre yardage table. Officially, we launched our label in December 2011, at the Finders Keepers market in Sydney, as wearable art in the form of fashion accessories. Since then we’ve had many requests for the fabric itself and are now focusing on specialising in yardage. Our debut collection, ‘The British Connection’ unites three different ranges: ‘By Decree’ – the tragic beauty of a crumbling empire, ‘Punctuation’ – film noir meets type and ‘Trans-atlantic’ – a return to the age of romance, the great voyage, adventure and reverie. We’re both interested in the history of fashion and architecture, hand-made craft, attention to detail, romanticism and things that are a little off-beat. But the inspiration for our designs tends to come from the conversations we have. We seem to be more verbal than visual when designing, creating fictitious stories based on fact, talking them through and using small sketches to illustrate our points. For example, the idea for our entire debut collection came from a conversation we had whilst walking home from screen printing one evening. We were discussing directional print and thought, ‘How much fun would it be to have a literal directional print of arrows all over some fabric and you could emphasise a point depending on which way you use the fabric?’ From this little chat we went and researched different types of arrows and happened upon the ‘broad arrow’, historically used by the British Empire to mark their property – inanimate or otherwise. We updated the design and named it, ‘Property of the Queen’. From this little arrow, and a lot of lateral thinking and research came the whole debut collection ie. – British Empire – English Language – New World Trans-atlantic crossing between Britain and America. What do you love doing in and around Sydney? Amalia and I love going for walks around the Inner West, chirping away, patting cats (especially their fluffy tummies) and picking up bits and bobs on the way. We also just started swing dance lessons, so are hoping to make some lovely dresses for that soon. Hmmm… what else? We like picnics at the Botanical Gardens, eating out in Newtown and hanging out at Carriageworks. But mostly we just love to get together and print. Where would you like to see Two in the Nest in the future, and what aspirations do you have for the label? In the future we would love to be working on Two in the Nest full-time, opening up the textiles market place in Sydney and catering to both fashion and interiors. 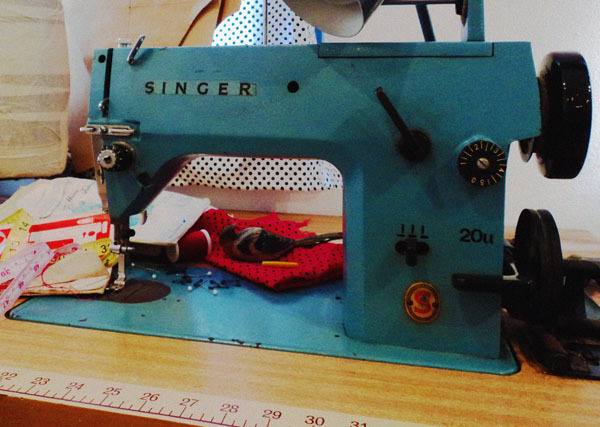 It would also be lovely to develop an online sewing community through our website where people could share their interests and projects. What can we look forward to seeing from Two in the Nest this year? We’re pretty excited (and nervous) as shortly we will be opening our own online fabric store at www.twointhenest.net. The store will offer our current collection of designs with the versatility to be used for fashion, craft and mid-weight interior creations. The designs will be made to order and allow people to choose their own base colour. In the meantime you can find our prints in the form of fashion accessories at www.youngrepublic.com.au/twointhenest. Also, we are already chirping about our next collection and maybe a fabric party? Ooh yes, that would be sew glorious! Ha ha…sorry, couldn’t help myself! god i love that cute photo of the rolls of fabric!!! so exciting and cute. What a lovely story! Great to see things are developing really nicely. BTW the beautiful neck tie I bought at the Finders Keepers from your collection for a friend didn’t end up with them because I immediately fell in love with it and have been enjoying it ever since!!! Scarlet and Amalia have great talent and well done. Great article and fantastic fabric all the best to them. Hi Scarlet & Amalia, congrats to you both. Keep up the wonderful work and don’t forget to keep the pressure on that squeegee. Great work more please!!! 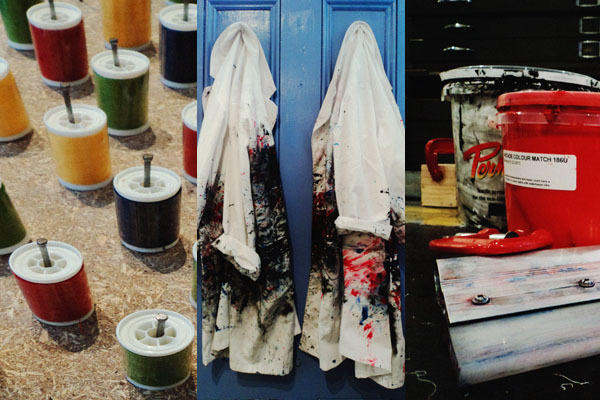 Wonderfully inspirational – a great article and fabulous fabrics. 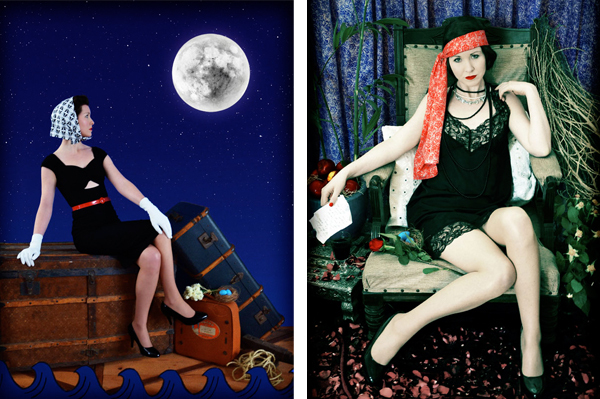 Keep it up Scarlet and Amalia – gorgeous prints and pics!! Exciting material, Scarlet and Amalia! There’s a great conversation on those lab coats, too. Are these your original designs or ones that have been modified from royalty-free graphics image libaries? After reading your story of inspiration above, I was surprised by how basic these designs are.